Aurolex monitor noise threshhold exceeded! The sound level meter and other sensors that are connected to the Aurolex Monitoring System store large amounts of valuable information in the database. All results can be sent to a central server in real time or at time intervals determined by you, and routed through our data acquisition server. Information about noise events may be stored for later analysis or source identification. 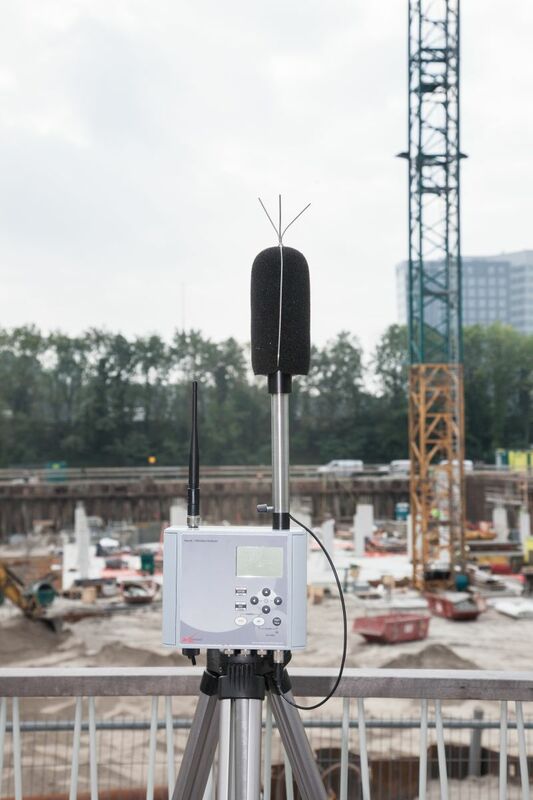 Aurolex Monitoring System’s sound meter and microphone are first class instruments, and comply with IEC 61672 (2002). The microphone is a condensed, prepolarized buit-in instrument with no heating unit. The measurement range is 25 dB (A) to 141 dB (A) peak with a dynamic range of 120 dB, Measurement data, among others Leq, Spl, Lden, L1-L99, Lmax, Lpiek + Standard octave band anylyzer. The entire measurement system is weatherproof and works in temperatures from -10 to +50 degrees Celsius (14 to 122 degrees Farenheit.) You can also choose three measurement profiles, eg. DB, dB (A), dB (Z), and set your own parameters.